In 2013, events during or around that day – ranging from small meetings of friends to seminars and rather large conferences, alongside special publications, distributions of outreach materials (petitions and flyers) and media appearances – were held in over 30 countries, and in 2014 in over 20 countries. Sometimes the events’ dates vary several days around October 1, or even through the entire month of October, designated as the “International Month of Older Persons” or the “International Longevity Month”, and sometimes the events are organized independently and without prior knowledge of other events, but they are all nonetheless unified by the common action and purpose. Let us maintain and strengthen this tradition! Let us plan and organize a mutually reinforcing network of events worldwide. If you plan to organize an event for that day or month – either live meetings or on-line publications and promotions – please let your plans be known to encourage others. Together we can create an activism wave of strong impact. Among the materials for discussion, distribution and promotion, one may use the position paper on the “Critical need to promote research of aging and aging-related diseases to improve health and longevity of the elderly population”, briefly describing the rationales, technologies and policies needed to promote this research. 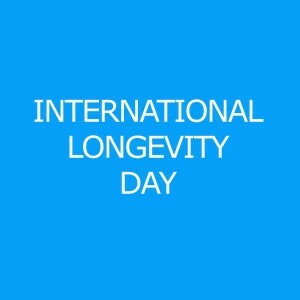 The position paper is available in 9 languages and can serve as a “universal advocacy paper” both for the grass roots discussions and promotions and for the outreach to officials http://www.longevityforall.org/the-critical-need-to-promote-research-of-aging-around-the-world/. Also one may use in the preparation a presentation briefly listing some topics in longevity science promotion, such as the feasibility and desirability of achieving healthy longevity and public actions that can be taken to achieve it http://www.longevityhistory.com/articles/ab7.php . One may also consider using or modifying the following template flyers, from the Longevity Day campaigns of 2013 Longevity Day – Flyer Template – 2013 and the present 2015 Longevity Day – Flyer Template – 2015 or any other materials of your choice. For the Longevity Day and Month celebrations in 2015, following the collection of a number of longevity promoting events worldwide in honor of that day, a general public appeal was issued and widely disseminated. International Association of Gerontology and Geriatrics – European Region – IAGG-ER (http://www.iagg-er.net/) as well as the international IAGG Secretariat http://iagg.info/xe/iagg_news/14762 ; http://iagg.info/data/newsletter_v20/newsletter_20-08_2015.pdf ; the International Federation on Ageing (IFA) http://www.ifa-fiv.org/idop-celebrates-longevity/ ; the US Healthspan Campaign http://healthspancampaign.org/newsletters/august-2015/ ; http://healthspancampaign.org/newsletters/september-2015/ ; Alliance for Aging Research http://www.agingresearch.org ; International Society on Aging and Disease http://isoad.org ; JenAge http://info-centre.jenage.de/ageing/meetings-calendar.html ; SENS Research Foundation http://www.sens.org/ ; Maximum Life Foundation http://www.maxlife.org/ ; Institute for Ethics and Emerging Technologies http://ieet.org/index.php/IEET/more/stambler20150831 ; Fight Aging https://www.fightaging.org/archives/2015/09/october-1st-is-international-longevity-day-events-are-planned.php ; Humanity+ http://hplusmagazine.com/2015/10/01/longevity-day-2015/ ; World Future Society https://www.facebook.com/World-Future-Society ; national gerontological associations in several countries. Yet, the strength of the appeal depends on the strength of all the individual events and actions. 1. In the US, a conference was held at the headquarters of the International Society on Aging and Disease (ISOAD), at the University of North Texas Health Science Center, in Fort Worth, Texas (http://isoad.org/). Also in the US, video conferences were held by the Movement for Indefinite Life Extension (MILE ) campaign and by the Christian Transhumanist Association (CTI). A special promotion was done by LEAF – Life Extension Advocacy Foundation – via its crowdfunding platform for longevity research (http://www.lifespan.io/). A fundraising action was launched on that day for SENS Research Foundation by Fight Aging (https://www.fightaging.org/fund-research/). 2. In Israel, a seminar was held in Bar Ilan University, by the Israeli Longevity Alliance. Further outreach was done in schools and via dedicated publications. Toward that day, Israeli activists also freely distributed an e-book on the history of longevity research (http://www.longevityhistory.com/). 3. In Moscow, Russia, a conference was organized by the Russian Longevity Alliance. Another large conference took place in Moscow, on the “Quality of Life of Older Persons”, supported by the Gerontological Society of the Russian Academy of Sciences, focusing on geroprotective substances and therapies. 4. In Gomel, Byelorussia, at the end of September, a conference took place on the general subject of Radiobiolgy, at the Institute of Radiobiology of the National Academy of Sciences of Byelorussia, with a leading section on the biology of aging and longevity (“gerontological aspects of man-made factors”). 5. Another small conference took place in New Delhi, India, organized by Future Tech and the Solutions For the Future, with the help of India Future Society, and other groups. Toward that day, India Future Society also started a crowdfunding campaign to develop a website dedicated to advancement of emerging and life-extending technologies. 6. A series of promotions was organized in Pakistan, by the Pakistan National Academy of Young Scientists and the University of Lahore. The newly formed Pakistan Aging Research Society (PARS) organized an entire month long campaign, “Go for Life” – from September 1 until October 1 – to encourage physical activity of older persons, as well as held a special promotion. 8. In Manila, Philippines, a new advocacy group on emerging technological applications to medicine, in particular aging research, was initiated in honor of that day. 9. Also in Potrugal, at the University of Porto a meeting was held by the Human Genetics Group . 10. Additional meetings and promotions were done by the European Healthy Life Extension Society (HEALES) in Brussels, Belgium, including a Competition for the Best Short Film on Life Extension. The winners: First Prize, Second First Prize ; Third Prize. 11. In Germany, meetings were held by two new officially registered political parties that emphasize the development of biomedical research in their programs: in Berlin, by the German Health Research Party and in Stuttgart by the German Transhumanist Party. At the end of September, there also took place in Germany the (unrelated) conference on the Treatment of Elderly Patients: The Challenge of the Future, in Halle, accompanied by workshops on Bioinformatics in Ageing Research. And out of Bremen, Germany, a promotional video on longevity research (the bioengineering approach) was created as a part of the campaign, on behalf of Science Communicator, by Hashem Al-Ghaili, which reached over 1 million views on Imgur, Facebook, Youtube and Reddit. 12. An online promotion (videoconference) in Spanish was held by the Venezuela Longevity Alliance (together with longevity activists from across Latin America). 13. A similar videoconference (recorded) in Portuguese was organized for Brazil by the Brazil Longevity Alliance. A special publication and a radio interview in honor of that day were issued. A conference took place at the HCor- Hospital do Coração, in the state of Sao Paulo, Brazil, which held a dialogue with health professions and aging experts. The event program was created to emphasize the importance of aging and longevity research for the development of effective health care for the elderly. The event theme: “The ageing populations and the impact on health services”. And yet another online conference on longevity science and esthetics was organized from Piúma, Brazil. 14. An on-line promotion of the day was done in Colombia by Vida Prolongada (http://vidaprolongada.com/), promoting the position paper on the “critical need to promote research of aging” in Spanish. 16. A meeting and a pro-longevity documentary promotion were done in Helsinki by Longevity Finland – Pitkäikäinen Suomi. 17. In Slovakia, longevity activists distributed flyers advocating for public promotion of longevity research. 18. A meeting was held in Stockholm, Sweden, by Aldrandefonden/Svenska Livsförlängningssällskapet SLFS – Swedish Life Extension Society http://www.aldrandefonden.se/. 19. In the UK, the London Futurist community celebrated longevity research as a part of a discussion of emerging technologies in London. 20. In Larnaca, Cyprus, the ELPIS Foundation, together with the local gerontological community, held a seminar “Health in Older Life” in honor of that day. 21. In Perth, Australia, a meeting was held by the “Healthy Longevity Philosophy” society. Another promotion was done by Science, Technology and the Future society in Melbourne, Australia, including interviews with prominent longevity researchers and advocates such as Dr. Aubrey De Grey, Chief Science Officer of SENS Research Foundation. 22. In Kiev, Ukraine, a seminar is organized by longevity activists on behalf of the Kiev Institute of Gerontology of the Ukrainian Academy of Medical Sciences. 23. In Beijing, China, a meeting was organized by the Technium community. 24. In Uganda, the Kasese Freethinkers Sports Academy educated about the connection between physical activity and longevity and the benefits and causes of healthy longevity. 25. A mini-seminar is being organized in Lagos, Nigeria, by Longevity Nigeria group, as well as an on-line promotion of longevity. 26. In Romania, a conference is being held at Äna Aslan National Institute of Gerontology and Geriatrics, in Bucharest, toward the end of October (as a part of the “Longevity Month”). This was preceded by online promotions and meetings of Romanian longevity activists. 27. In Vietnam, Hanoi, the Vietnam Public Health Association held a conference on the Mental Health of the Elderly, emphasizing biomedical research on neurodegenerative diseases. 29. At about the same time, the 10th Asia / Oceania Congress of Gerontology and Geriatrics 2015 for “Healthy Aging Beyond Frontiers” will take place in Chiangmai, Thailand, including sections on biology of aging. 30. In Paris, France, a seminar was organized at the Biopark Cancer Campus, University Paris Sud. Another meeting took place in Paris at Centre de Recherches Interdisciplinaires (CRI – Center for Interdisciplinary Research) on behalf of Longévité & Santé . And yet another event was conducted in Paris in association with the “Longevity Day” – the screening of the film “Immortalists”. 31. In South Korea, the Korean Branch of Solutions for the Future organized a meetup in Seoul. 32. In Switzerland, Zurich, the Swiss Longevity Alliance organized a mini-conference on longevity research. This will shortly follow a large international symposium on geroprotectors in Basel. 34. In Canada, at Huntington University, an event was held by the Canadian Institute for Studies in Aging (CISA). In Alberta University, Canada, a special discussion on Technology and the Future of Medicine was dedicated to that day. And yet another meetup was held in Vancouver on behalf of the Lifespan Society of British Columbia. 35. In Iran, a study group was conducted in Tehran on behalf of the Iran Longevity Alliance http://www.iranlongevity.com/. 36. Yet another study group was held in Cairo, Egypt, by the Egyptian Longevity Alliance http://www.egyptplus.org/. 37. And yet another free discussion of longevity science will take place in Tirana, Albania – the first longevity research activism event in the country. 38. An on line promotion was done by South African longevity activists. 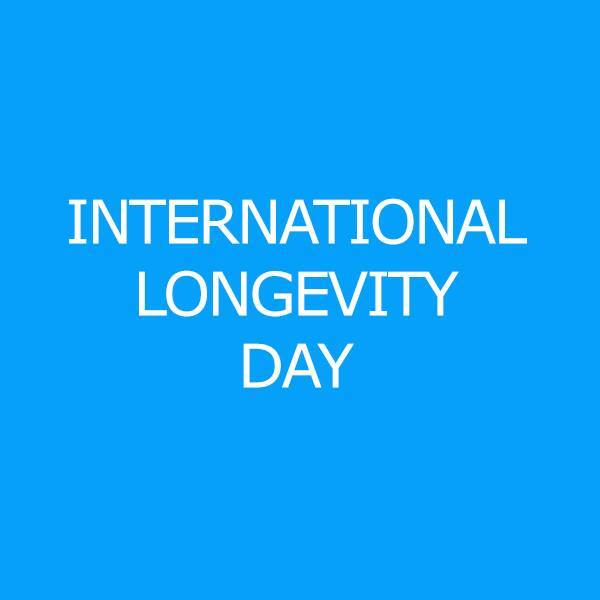 They have also promoted the Longevity Day campaign through the People’s Health Movement, emphasizing the urgent need to improve the longevity in South Africa and Africa generally. 39. A small meeting of longevity activists was held in Taipei, Taiwan. This preceded the (unrelated) “Aging Innovation Week” in Taipei. 40. In Bulgaria, events toward the International Longevity Day started earlier in September with a conference in Ravda, organized by the University for National and World Economy, Department of Management and BASAGA – Bulgarian Academic Simulation and Gaming Association, including a section on Futurism, Transhumanism and Longevity, and continuing up to the date itself with more live and online discussions and publications and a special appeal in honor of that day. 41. In Tokyo, Japan, Exponential Technologies Institute held a promotion of longevity science in the framework of Tokyo-Singularity-Meetup. 43. In Morocco, a new website dedicated to promotion of longevity research was initiated by the For Bladi Association http://www.longevity.ma/. 44. In Amsterdam, the Netherlands, an event was organized by the WAAG Do It Yourself Biology (DIY-BIO) Society. Thanks to all the organizers and participants! Please add your support and more events and publications for this initiative now and in the future! If you would like to get involved, please let know!